Caroline Vermeir is a real Girl Boss. As a child, this graphic designer from Antwerp used to be fascinated by the oil paintings her father made. As a result, she developed a taste for design herself, and has been working on her skills ever since. At age 15, the dream became reality when she taught herself how to Photoshop. In 2012, she graduated as a master in visual arts and immediately started working in several design agencies. After gaining some experience, she decided to go freelance. 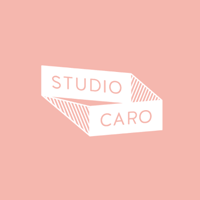 In 2015, she became her own Girl Boss as she founded Studio Caro, where she works as a 3D illustrator and graphic designer. She helps to find the right branding, logos and website design for her clients, and teaches them how to communicate their new identity. Gentle, pure and playful. That’s the best way to describe her work. Caroline Vermeir believes that a visual identity has to reflect a company’s vision and ambition. Here at CaseCompany, we completely share her ideas and mentality. And that’s exactly why we decided to start working together! She combines soft colours with fun quotes in her designs for our smartphone cases, such as “fries before guys” and “Girl Boss”. Be sure to check it out!